Primobolan Depot is an injectable steroid. Many athlete believes that using Primobolan Depot alone in the cycles is not enough but it can be used as a good supporter. It has strong anabolic effect in bodybuilding starters but it has less effect for people who used steroids before. Many popular athletes prefer Deca-Durabolin and use Primobolan Depot if Deca-Durabolin is not possible. Primobolan Depot is commonly used with Winstrol Depot. Standard dose is 200 - 400 mg/week but before exhibitions, many athletes use 100 mg ampule daily. Popular athletes propose Primobolan Depot to novice bodybuilders because it has very few side effects. Because it doesn’t convert into estrogen in the body, only common problem of Primobolan Depot is water retention in high levels. It causes also acne and increased hair growth because of androgenic residual effect. 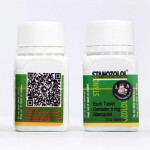 Cycles must be short when Primobolan Depot is used because of its less effective nature, many athletes use it for long periods but it can cause stop natural testosterone production. 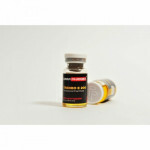 Women can also use Primobolan Depot and it’s very popular between female athletes. Proposed dose is 100-200 mg per week for women and they can add 50 mg Winstrol Depot to it. There are no known strong side-effects on women using Primobolan Depot but when it’s used in long cycles with untested substances, it can cause skin or hair problems. There are many versions of Primobolan Depot now and half-life is 5 days. According to researches, traces of Primobolan Depot are hard to be found after 5 days.